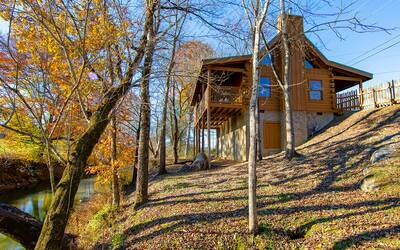 Welcome to a Sweet Retreat in the Smoky Mountains! 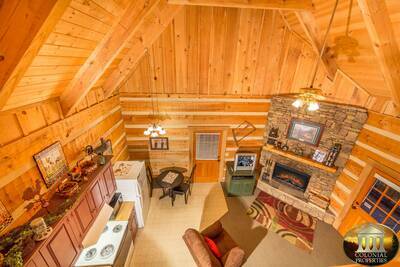 This 1 bedroom, 1 bath Pigeon Forge cabin rental is a beautiful and relaxing place to spend your next vacation getaway! 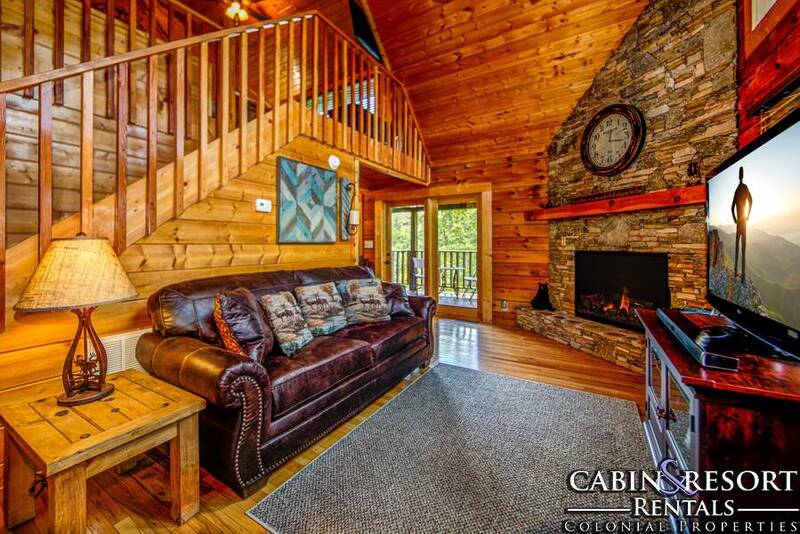 As soon as you enter this romantic and luxurious log cabin, you are greeted by soothing natural wood tones and abundant windows that frame the outdoor views. 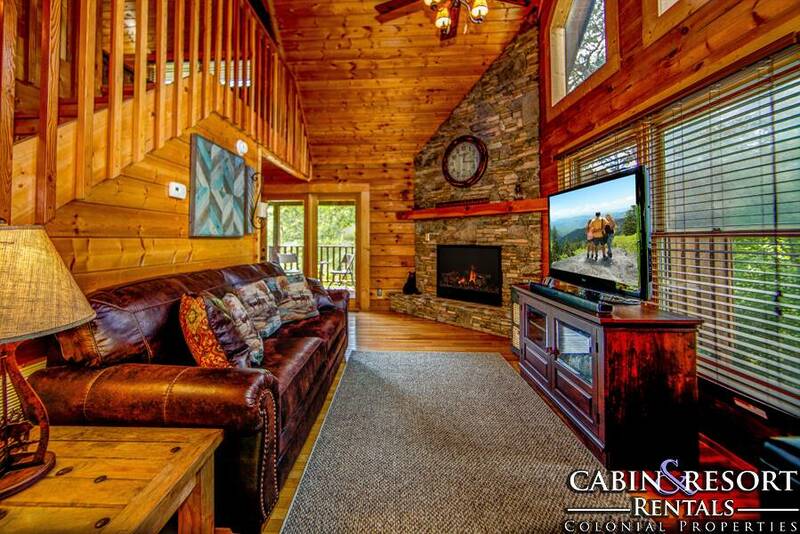 The spacious living area is equipped with a cozy mountain stone fireplace, soaring cathedral ceiling, flat screen TV, leather sofa, sitting area and deck access. 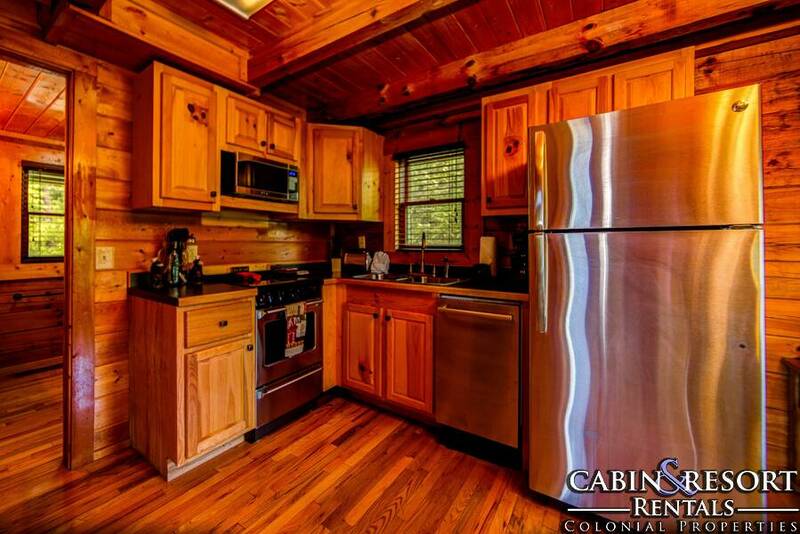 Just off the living area you will find the wonderful kitchen and dining room. 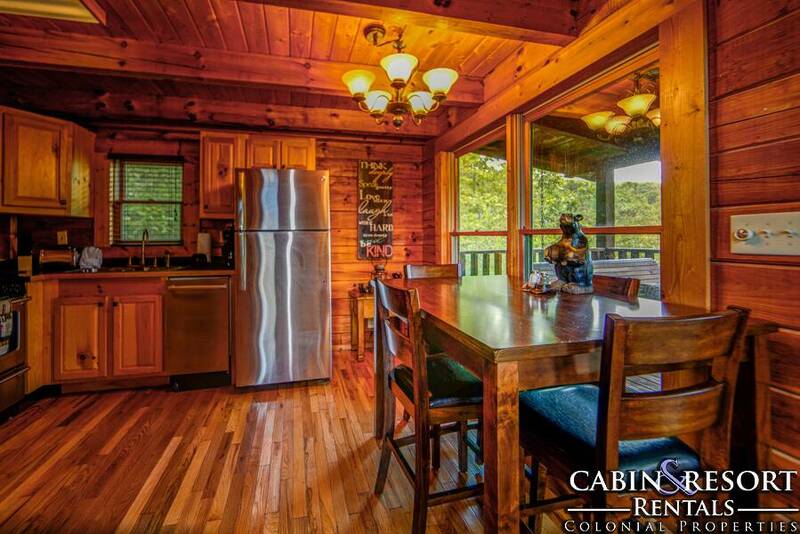 Complete with stainless steel appliances, you will have all of utensils and necessities to prepare, cook and serve your favorite meals while you’re on vacation in the Smoky Mountains. Grab a seat at the dining table to enjoy the breathtaking views while enjoying breakfast, lunch or dinner. 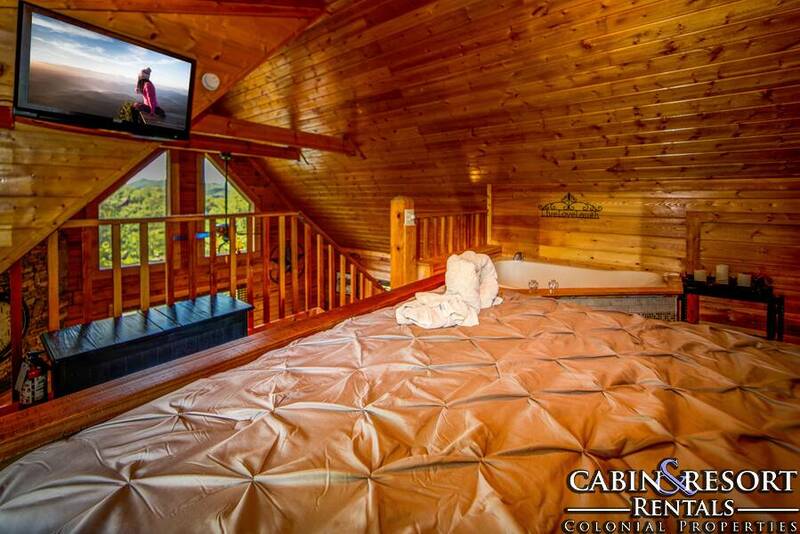 For an unforgettable and relaxing experience, venture upstairs into the loft king suite where you’ll find tasteful décor, a flat screen TV and a soothing bedside jetted tub. Out on the covered rear deck, you’re in for a real treat! 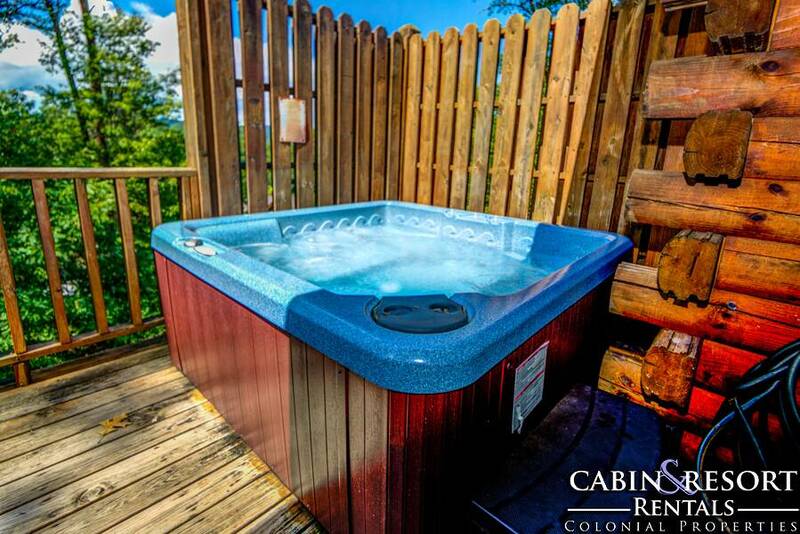 Sip your morning coffee on the porch swing, have a picnic lunch on the dining table or go for a dip in the bubbling outdoor hot tub after a fun-filled day of exploring the Smokies! Just in case you need to do a little work or just want to browse the internet while you’re on vacation, Sweet Retreat provides you with complimentary wifi internet access. 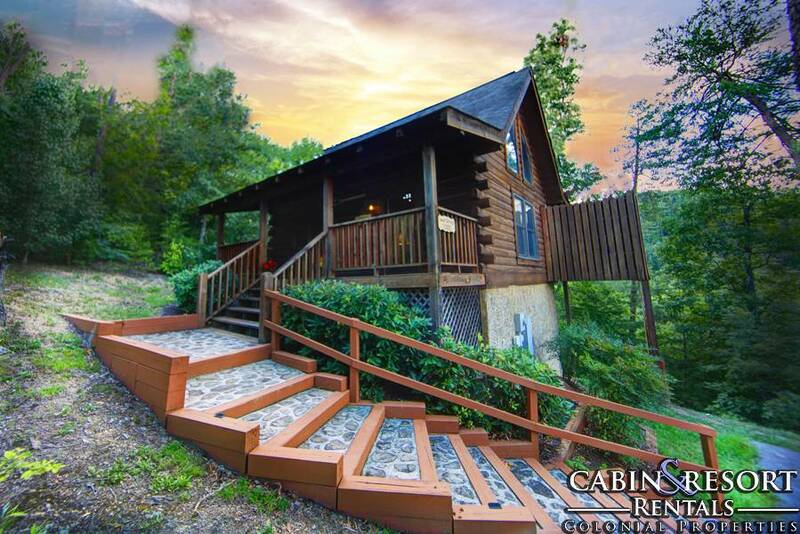 If you’re looking for a romantic log cabin to enjoy a relaxing vacation with your special someone, Sweet Retreat is the place to be! With its stunning decor and luxurious features and amenities, you’ll definitely have the time of your life. Plan your escape today! 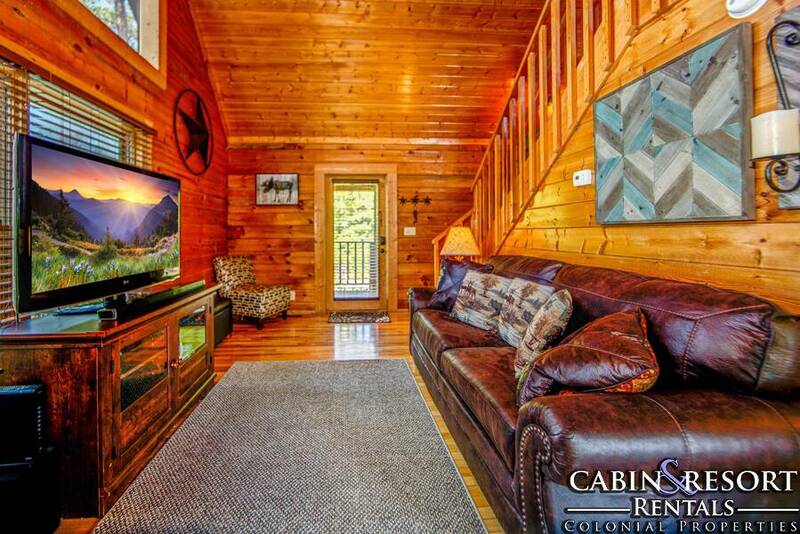 A: Hi Evan, unfortunately this cabin is not one of our pet friendly properties. A: It has neighbors but they are separated by woodland. A: Hi Felecia! Yes, there is a Charcoal Grill at the property. A: Hi Courtney! 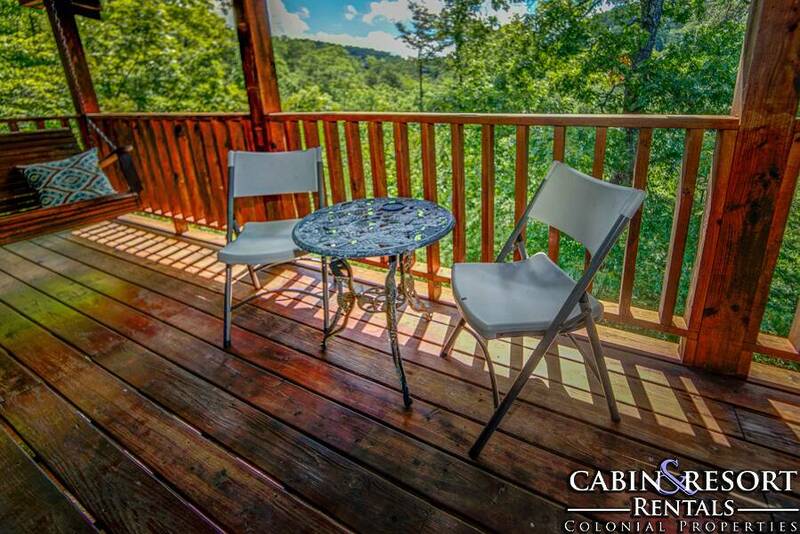 Sweet Retreat is located in Pigeon Forge. 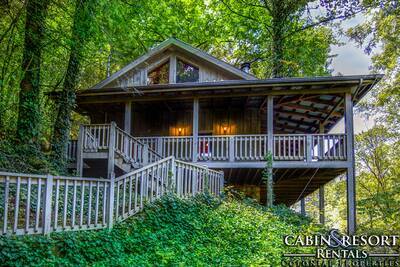 It is just a short drive to Gatlinburg. 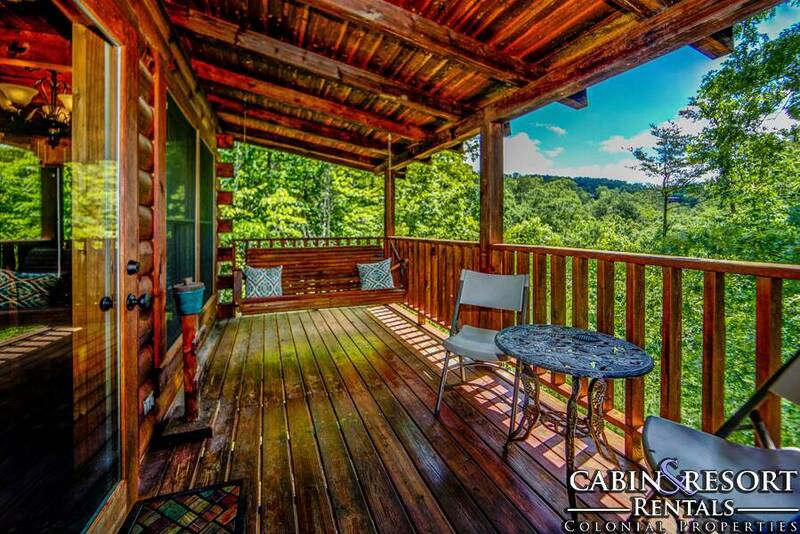 “ We had a great time such a cozy cabin and beautiful view of the mountains. “ Spent part of our honeymoon here. Loved the location, easy to find, clean. We loved everything about it. 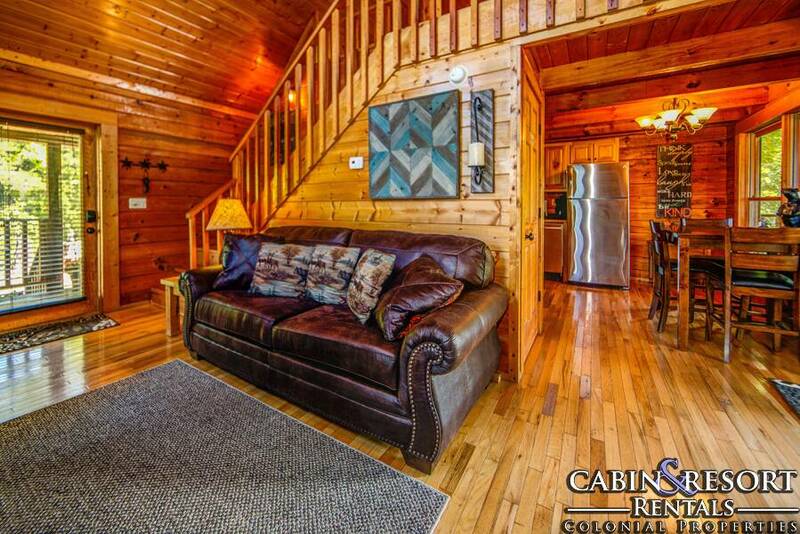 “ We had a wonderful time in our cabin! 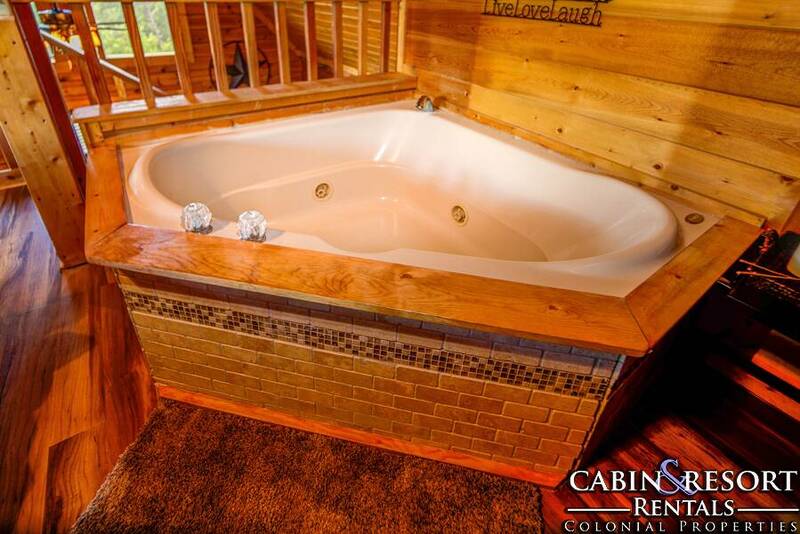 We loved the hot tub and the large tub. 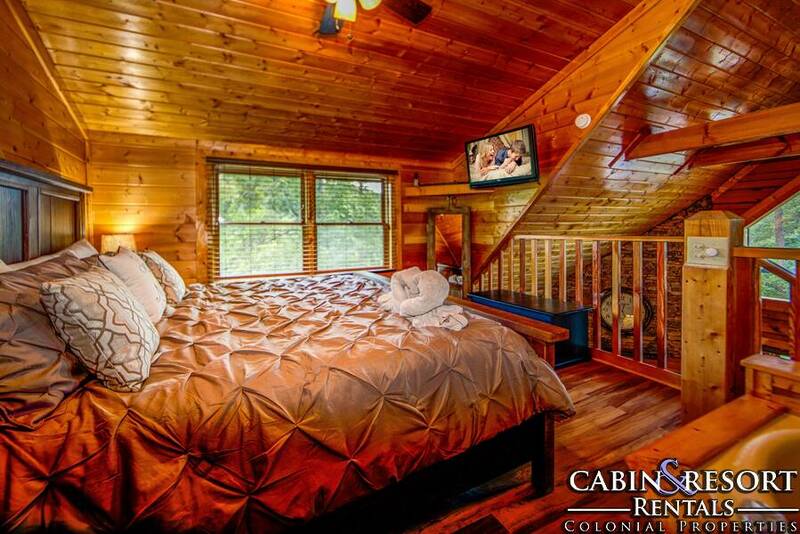 The cabin is very cozy and secluded. The neighbors are around but you cannot see them because of the foliage. We will be back! “ Smoky Mountain Dreams has been a wonderful experience. “ We loved it!! It was an amazing honeymoon vacation, thanks so much!! Planning on coming back for our anniversary next year! 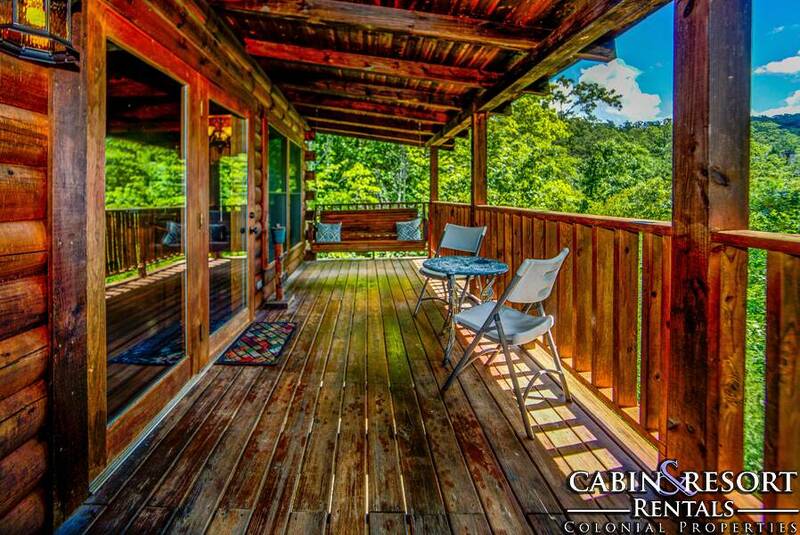 “ The cabin was well-laid out, clean and in a beautiful setting. 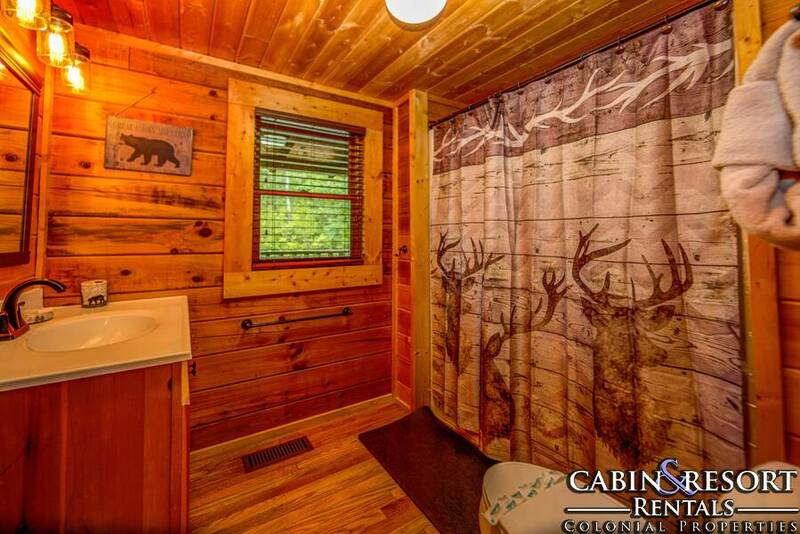 It was close to city conveniences and yet far enough away that we had plenty of privacy. We had the perfect get-away experience! “ I loved it, went for my honeymoon was wonderful. Quiet relaxing was wonderful. I want to come every year. 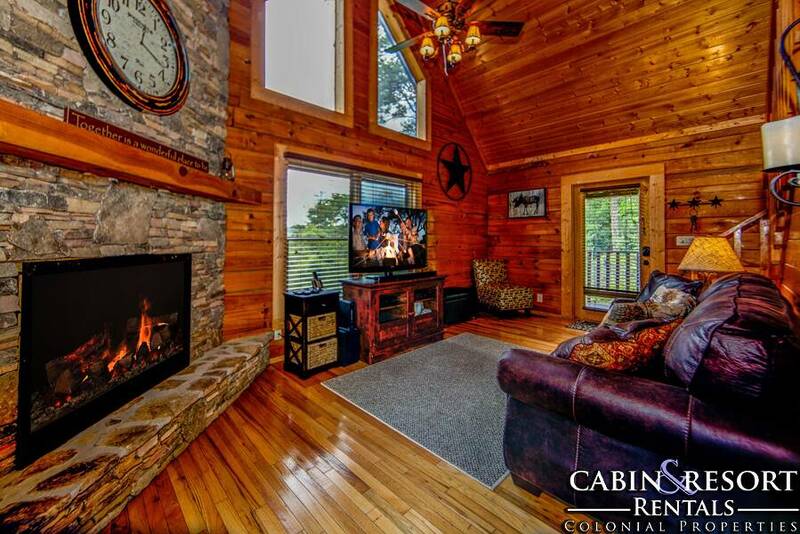 “ The cabin was gorgeous and just like the pictures! We will definitely be back again! 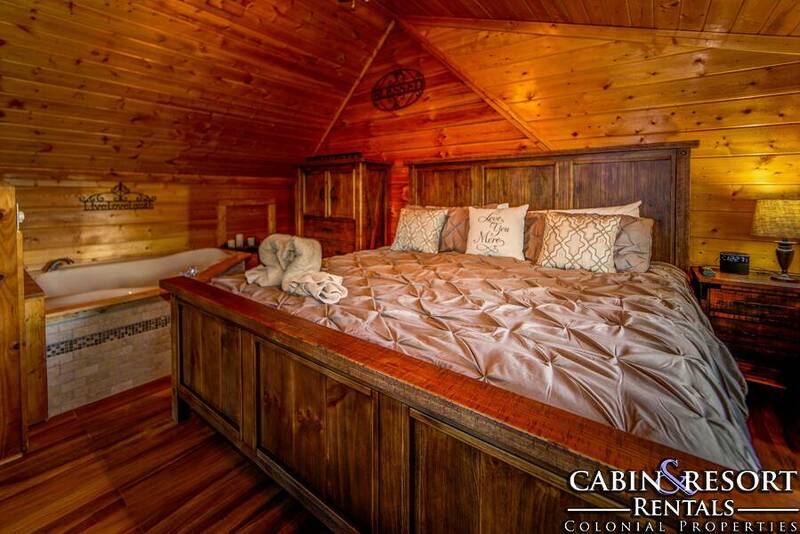 “ I loved everything about this cabin. It’s the perfect size and the view is great. You feel secluded from reality and it definitely is worthy of it’s name.